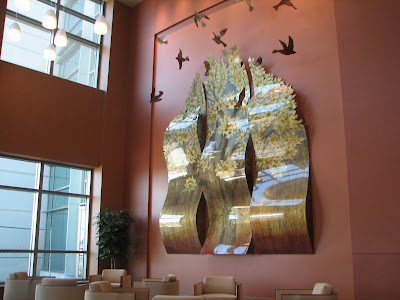 THE FUTURE "new" main entrance at Franciscan St. Francis Health-Indianapolis -- located on the east side of the campus facing I-65 -- is now adorned with the inspired work of artist Peter Skidd's "Sympathy of St. Francis." 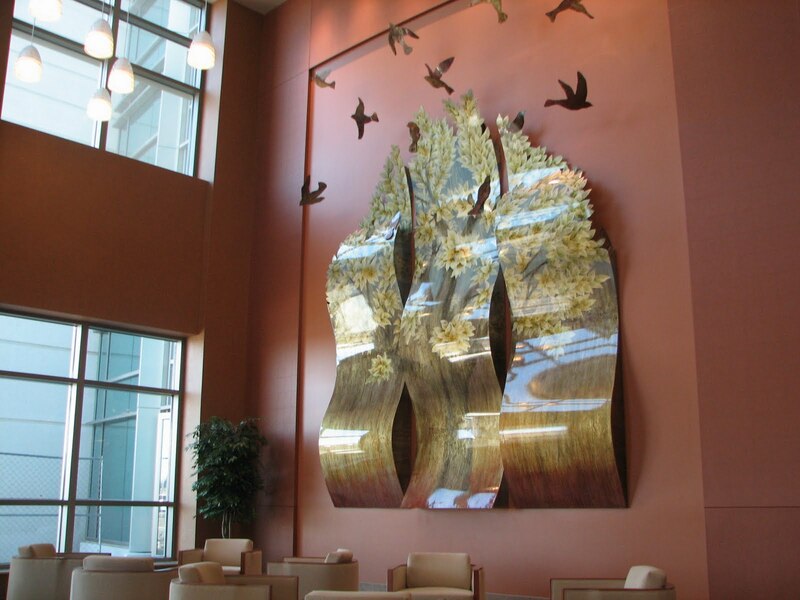 This creation represents the Saint's "far-reaching, all-embracing sympathy," using birds and a heavenly reaching tree. The three-waves represent Francis' vows of poverty, obedience and chastity. Overall interior design is being coordinated by Lohr Design. Finishing touches are being applied as Phase I of the Indianapolis Campus Expansion project nears its April 13 opening date.